What should you consider when looking for the best travel monopod? 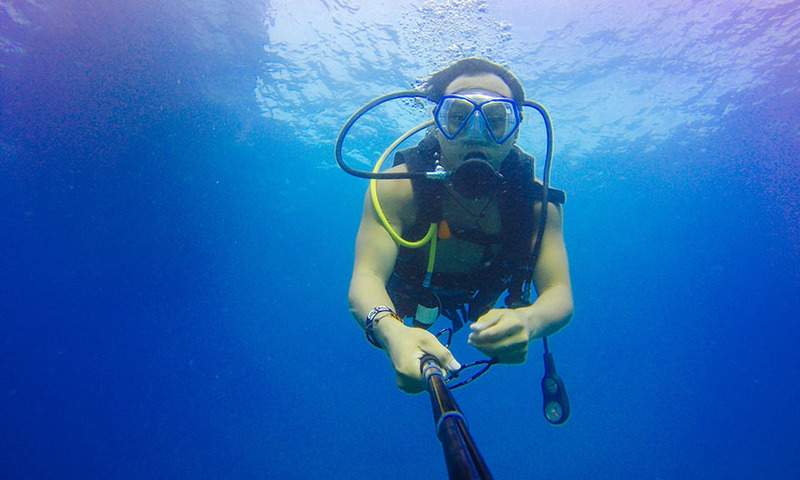 This article will give you the 5 monopod characteristics that you need to pay attention to. Take a second first, to consider an alternative to taking just a monopod. First consider whether a tripod would be a better choice to take on your travels, or have you thought about the possibility of a convertible tripod-monopod combination? Monopods are most valued by sports and wildlife shooters along with video photographers. I currently have two monopods. One is a simple one like the Slik monopod pictured above. My other monopod is a little more complex as it has the folding feet on the bottom. 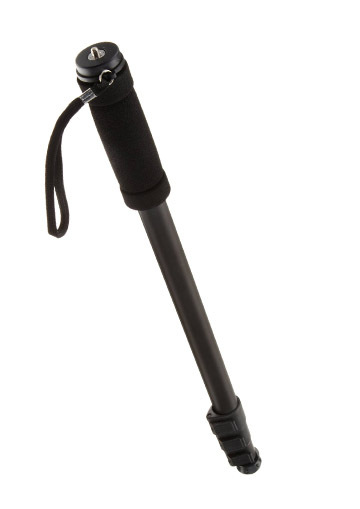 Add a pan handle and you've got the perfect video monopod. The overall length is quite important if you're using your monopod and you want to stand upright. The longer the monopod is the more it weighs, but weight isn't really a determining factor unless your getting a super heavy duty monopod, but we're talking about lightweight travel monopods. 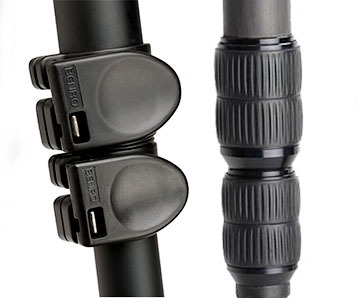 Monopods with a greater number of sections can compact down to shorter lengths. You'll find folding monopod feet have limited uses, but there are definitely a few situations where you'll appreciate having them on your traveling monopod. They definitely add some stability (not as much as a tripod) and you will find them useful in situations where you don't have enough room for a tripod. Two quick examples. When you're in a crowd of people like at a parade or your sitting in your seat at your child's school christmas program, you simply don't have enough room to use a tripod. 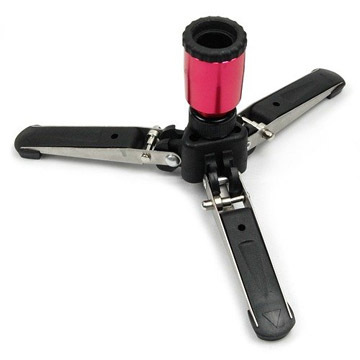 You have 2 options when it come to how you lock your monopod legs into the desired lengths. Flip clamps are certainly the fastest and in our society everybody wants things to be as fast as possible. They are a bit bulkier than twist locks and can work loose over time as the mechanism wear from repeated use. Twist locks are the most durable and secure. They barely add a little bit of extra thickness to your monopod legs, but aren't quite as fast. But seriously my friend, are you in that much of a frantic mode that you have to save 3/4 of a second to tighten your monopod leg. Slow down, Sparky. You might get a better photograph or video if you take an extra second to think about how your going to capture your subject. I've used both types of leg clasps and I honestly can't tell you that one performed better than the other. The head you choose to attach to the top of your travel monopod is perhaps the single most important element of your setup in terms of function and experience. 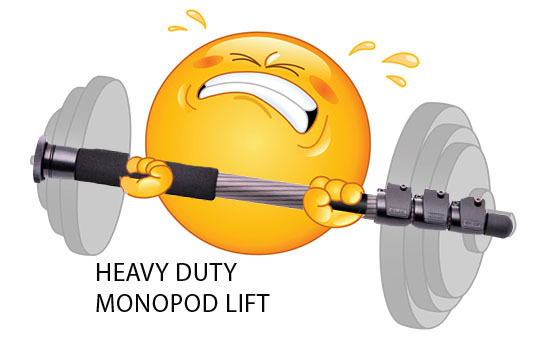 A lousy or cheap monopod head will dramatically affect your monood's performance and your pleasure or pain in using it. The best head for your travel monopod is a ball head unless you're going to use your monopod for shooting video. Ball heads are the smallest, lightest and most versatile. The best monopod head for shooting video is one with a long handle because it's easier to achieve a smooth panning motion. Most of my own personal travel photography excursions have not involved hwildlife or video shooting so my trips involving airplane transportation have always just included my compact carbon fiber tripod. Technically, a monopod could be used as a blunt weapon and airport security personnel could force you into checking your carry on luggage. Personally speaking, the majority of photographers that I've come across haven't had an issue on this one, but it's always a good idea to be aware of that possibility. As a traveling photographers you want your monopod to be short for easy portability. This $400 Gitzo Carbon fiber monopod has 6 sections and shrinks down to a little over 16 inches and still weighs only 2 lbs. That's overkill for you and me. At the opposite end of the spectrum is the Amazon Basics monopod for only $15. 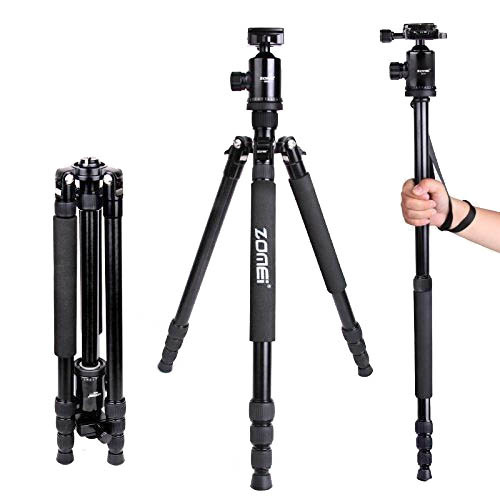 It's a 4-section, aluminum monopod and compacts down to a little over 21 inches. It weighs less than 1 lb. Length and weight usually go hand in hand but carbon fiber monopods weigh less, usually 30-40% less than aluminum. Plastic is lightweight but plastic monopods won't last very long and don't do well with extreme heat or cold. There is a tradeoff here. Heavier monopods require a little bit more effort to carry, but tend to be more stable during use. Just like tripods, the heavier your excursion monopod is, the more stable it will sit on the ground. You won't have any issues with this when you're shooting on solid ground, but if you're on a soft surface like grass, leaves, or even a plush carpet, realize that you might get small vibrational movement with a super light monopod/camera combination. What really matters most is whether your travel monopod functions the way you want. No matter how small or how light it is, if it doesn't properly support your camera and lens properly or give you smooth video movements it's not worth packing. Monopods give you a nice bridge between the bulk and stability of using a tripod and the freedom of shooting handheld. If you're like me, you'll use your monopod as a trekking pole when you're hiking on rough or steep terrain. My monopod acts like a walking stick and it's also a good device for steadying my camera during longer exposures or while using a big lens. Consider getting one of the tripod-monopod combinations. These have really become quite popular more recently and they are pretty affordable too. It's a smart way of getting two tools for the price and size of one. If you're taking a tripod with you on your next vacation or photo excursion, why not take a tripod that can be converted into being used as a monopod too? Yes, it's true that it may take you 2 or 3 minutes to detach and aconver your tripod leg into a monopod, but the secondary message in this article is to S L O W D O W N and take your time to examine your scene before you shoot your first photo or video clip. Growing up, we had the choice of going to the local camera store and trying out a piece of camera equipment. Those days are all but gone. You'll get great prices at big electronic chain stores like BestBuy and at mega-retailers like Walmart but the selection of monopods will be quite small. Dedicated online photography stores like BandHPhotoVideo, Adorama, Sammy's or Abes of Maine are solid choices on where you can buy the best monopod for your travels. Big on-line retailers that have a good return policy make the most sense. You can try test your travel monopod briefly and return it within a short time period, undamaged, and get a full refund. You can also buy a used monopod from an auction site like ebay where you can save a lot if you don't have an issue with buying used. The key is to only buy from a reputable vendor that has a high seller rating. Any monopod is going to be substantially smaller and lighter than a tripod so they are naturally easier for travel photography. The best travel monopod for you is the one that is easy to carry and easy to use. Shoot more photos. Watch less TV.